Reduce your liability. 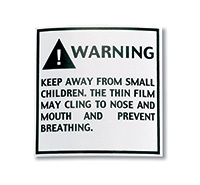 Pressure-sensitive labels, with permanent adhesive, warn caregivers about the hazards poly film poses to children. 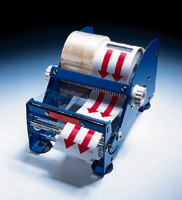 Roll width is 2". Message reads: WARNING KEEP AWAY FROM SMALL CHILDREN. 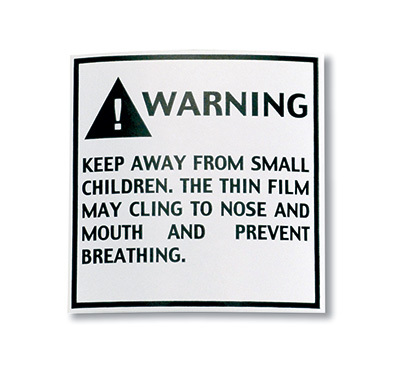 THE THIN FILM MAY CLING TO NOSE AND MOUTH AND PREVENT BREATHING.